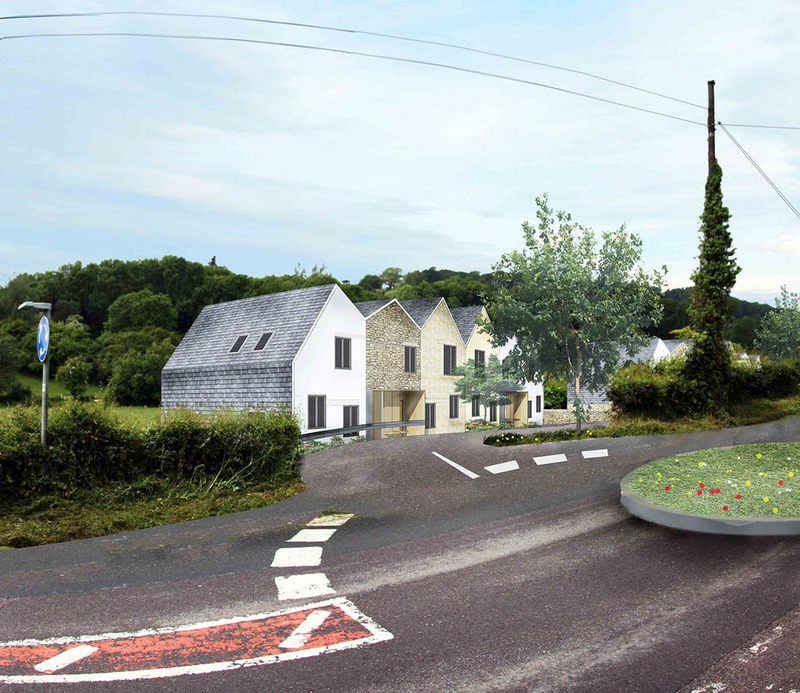 This scheme for the Guinness Trust provides eight social housing units Lyme Road for the village of Uplyme in East Devon. The units are formed into two blocks following the contours of the existing topography; this inflection opens them to extensive southwest views, and defining a communal space between the blocks. Each unit has been carefully planned to suit efficient modern methods of construction. As such there is an identical service block repeating throughout. Set against this standardisation, the roof form give each unit individuality in a concertinaed band of slate, with the flexibility to vary in size accordingly to suit all the required dwellings, housing from 4no.-7no. people. The form is equally experienced internally where the exposed roof profile generates surprising form and character in many of the otherwise rectangular rooms, intended to instill a sense of individual identity to tenants and with it, a feeling of ownership and belonging.